Elizabeth Huntington was born May 8, 1803 in Litchfield Connecticut. She was the second child of Elizabeth Whiting Phelps and Dan Huntington family. 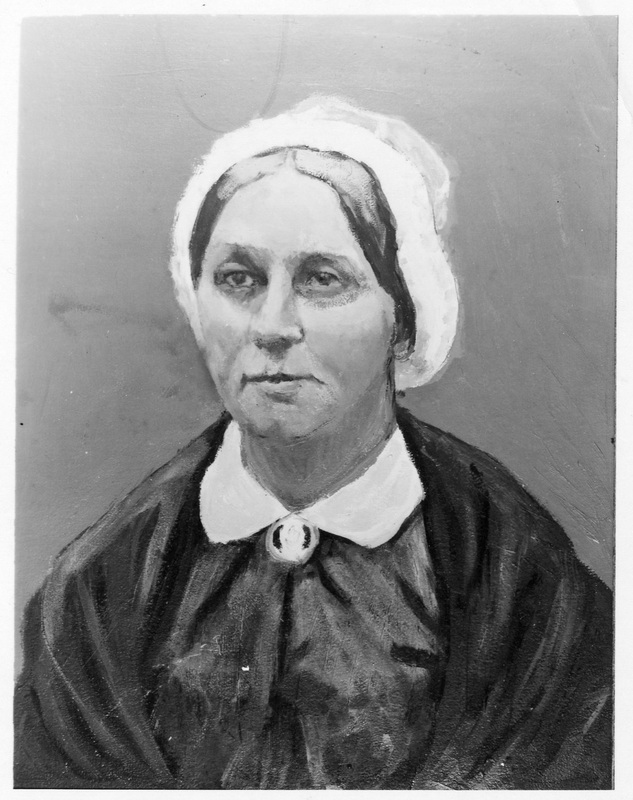 Elizabeth met her husband George Fisher on a stage coach journey to western New York. George had graduated from Brown University in 1813. He returned to Hadley to marry Elizabeth in 1824. They then moved to Oswego, New York, where he was president of the North West Insurance Company. They remained in Oswego throughout their lives. Elizabeth died there in 1864.